The Belgian-Vietnamese Alliance (BVA) launched itself as a chamber of commerce and industry for Belgium, Luxembourg and Vietnam on January 29. It was recognised as a member of the Federation of Belgian Chambers of Commerce on January 1. At the debut event in Brussels, BVA President Andries Gryffroy said with its new functions, the entity will become a trustworthy partner of institutions and enterprises to develop an international business network and offer useful links for legal, economic and investment information. Noting the alliance’s focuses in 2019, he said it will continue helping businesses learn about the content, signing and ratification of the EU-Vietnam Free Trade Agreement (EVFTA) and the Investment Protection Agreement (IPA), along with business and investment opportunities for both sides’ firms. The BVA will also provide language support for Belgian companies that want to invest and do business in Vietnam. 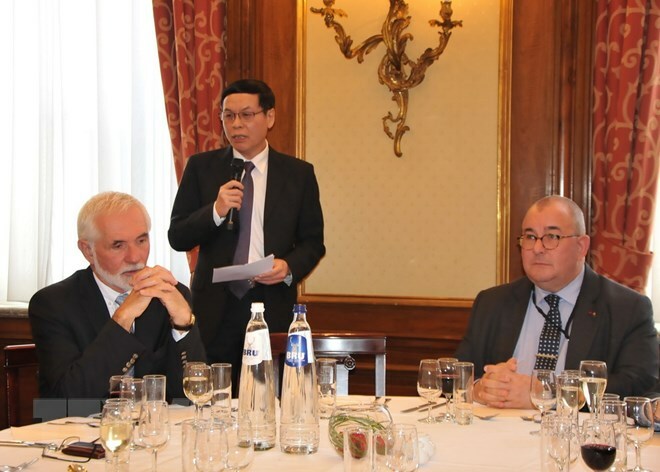 Vietnamese Ambassador to Belgium and Luxembourg and head of the Vietnamese Delegation to the EU Vu Anh Quang said after being signed and ratified, the EVFTA and the IPA will open up more chances for Vietnamese businesses to strengthen partnership with those of Belgium and other EU member countries. Echoing the view, head of the EU Delegation to Vietnam Ambassador Bruno Angelet said 90 percent of transactions between Vietnam and the EU will be exempted from different taxes after 10 years, so there is huge potential for promoting bilateral trade and investment. Founded in 2011, the BVA has made efforts to strengthen cooperation between Belgium and Vietnam in economic, cultural and social aspects. With its new functions, the alliance is expected to better serve as a bridge linking businesses of Vietnam, Belgium and Luxembourg./.